If you’re the kind of person who goes goes online to buy all kinds of weird things in the early hours of the morning, after an alcohol-fueled night out, you may be interested in a new smartphone app that blocks your credit cards for 12 hours if it thinks you’re too drunk to shop. DrnkPay is a smartphone app that stops users from making purchases while drunk, which is apparently something people end up regretting. It was developed by UK financial consultancy company iBe TSE, after research found that half of British alcohol drinkers admitted that they regret a purchase made when drunk. The survey that inspired Drnkpay also revealed a few bizarre examples of things bought while intoxicated, like flying lessons, a rowing club lifetime membership for someone who doesn’t row, 30 pairs of flip flops, and even a live chicken. 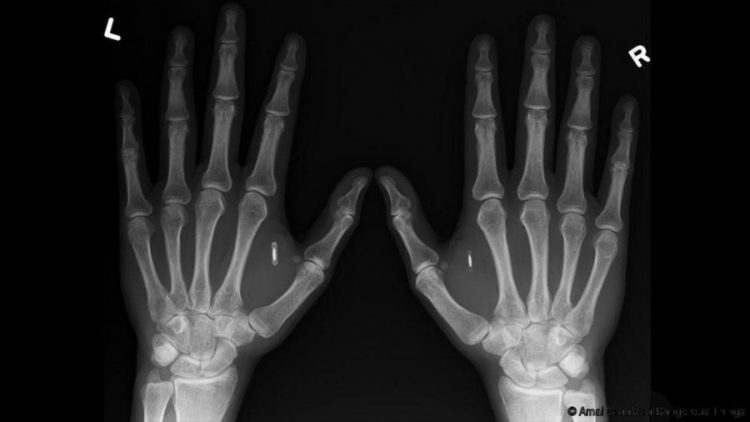 Epicenter, a technology startup hub in Stockholm, Sweden, has been offering employees the chance to have a small microchip implanted in their hand, ever since 2015. So far, 150 of its 3,000-strong staff have taken bosses up on their offer, and they couldn’t be happier with their decision. Implantable microchips the size of a grain of rice have been around for a while now, but they are usually used as virtual identification plates for pets, or as tracking devices for deliveries. 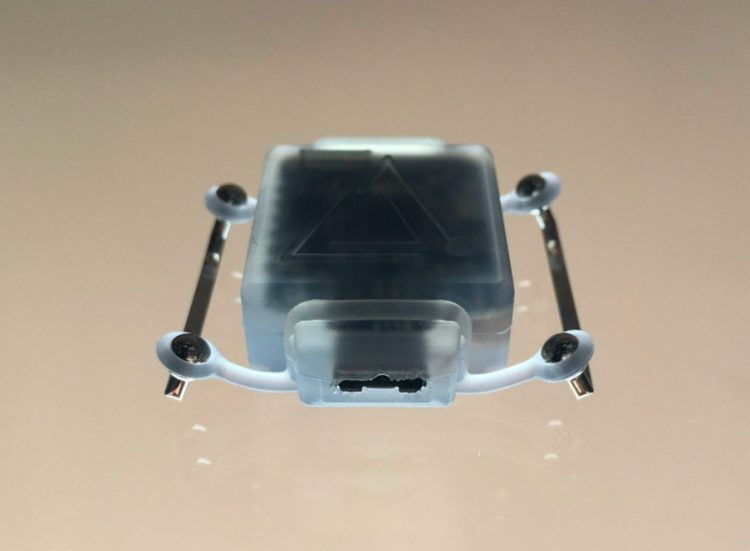 Up until a couple of years ago, when Epicenter started offering its employees the chance to have them implanted into their hands, these tiny devices had never been used to tag humans on a large scale. For many people, having a chip inserted into their body sounds like something out of a dystopian future, or, at the very least, raises privacy questions, but the 150 Epicenter employees who have had them implanted say the technology just makes their life easier. Daniil Lytkin, a 26-year-old programmer from Novosibirsk, Russia, recently made news headlines for having a compass-like device implanted on his chest. Called “North Sense”, the wearable sensor vibrates whenever the wearer turns north. The young bodyhacker says that he stumbled across the North Sense project when it was still being developed by a UK company called Cyborg Nest. He thought having a sensor that lets you know which way is north attached to his body was a cool idea, so he pre-ordered the device for $250, and last week he became the first person in Russia, and one of the first in the world to have it implanted. The procedure was carried out by piercing artist Eugene Dyakov, on May 11, and involved the insertion of two specially designed titanium bars under the skin on Daniil’s chest, to which the North Sense device is attached with screws. 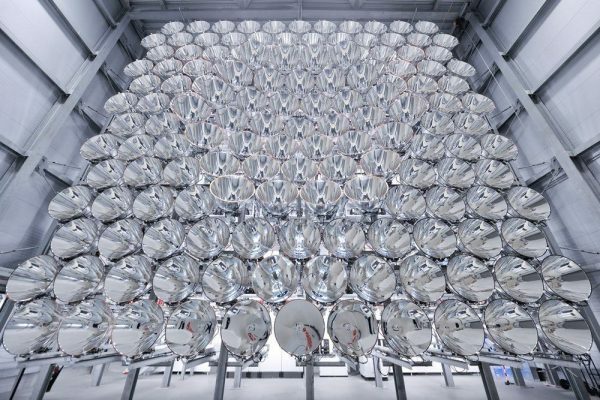 Scientists in Germany recently turned on the “world’s largest artificial sun” a device made up of 149 Xenon short-arc lamps that can create about 10,000 times the amount of solar radiation we get on Earth. That’s enough to melt metal or fry pretty much any living thing. Luckily, researchers don’t plan on using this powerful device, called “Synlight” to fry anyone, and have taken precautions to keep people well away from it while it’s switched on. Instead, they hope it will help them discover new, cost-effective ways of producing climate-friendly fuels like hydrogen. 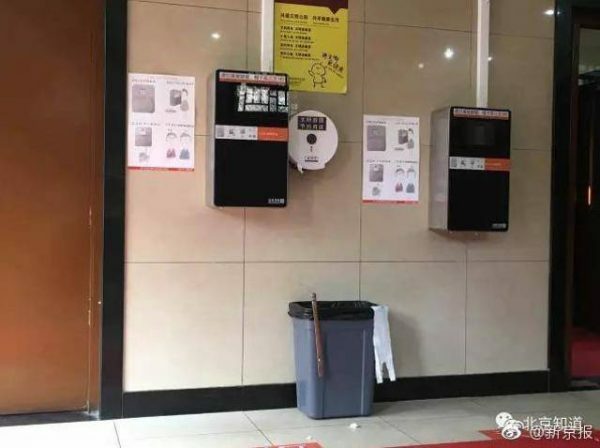 To combat the rampant toilet paper theft in public toilets, local authorities in Beijing, China, have begun installing high-tech facial scanners that prevent users from taking any more toilet paper if they show up again within a certain period of time. The public toilets at the Temple of Heaven, one of the most popular tourist attraction in the Chinese capital, used to be a hotbed of toilet paper theft. Sick of wasting huge amount of money on thousands of rolls of paper every month, local authorities recently replaced the old dispensers with high-tech ones with incorporated facial scanning technology. Now, to receive a 60-cm-long sheet of toilet paper, users must stand in front of the machine to have their face scanned and stored in a temporary data base. If they return in less than nine minutes from their previous visit, the machine will remember them and will not dispense anymore toilet paper. Don’t you just hate it when you have to take an important phone call and you’re surrounded by potential eavesdroppers? 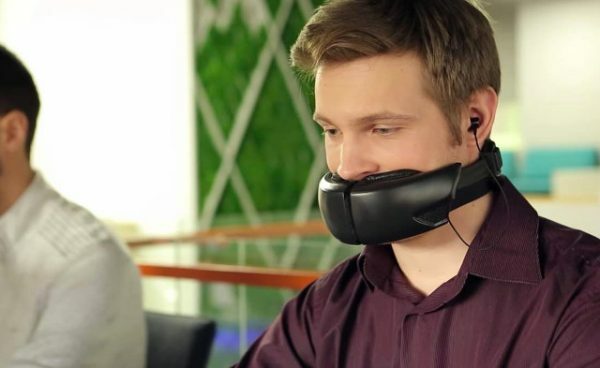 You either have to whisper or go outside to keep the conversation private, which is not exactly ideal.Now, a new gadget aims to fix this problem by muffling your voice and making you look like Bane in the process. Hushme is a bizarre high-tech mask that blocks the sound of the wearer’s voice so that people nearby can’t hear what is being said. It connects to your phone via Bluetooth and comes with a pair of earbuds. When you get a private call, all you have to do is put the muzzle-like mask on and it will do the rest. The pair of thick cushy pads over your mouth do a good job of muffling your voice, but to ensure nothing gets through, Hushme also features external speakers that play a variety of sounds when you speak. In an effort to help expecting fathers feel more involved in the pregnancy, a Danish tech company has developed a smart bracelet that lets them feel the kicks and movements of their unborn children in real time. 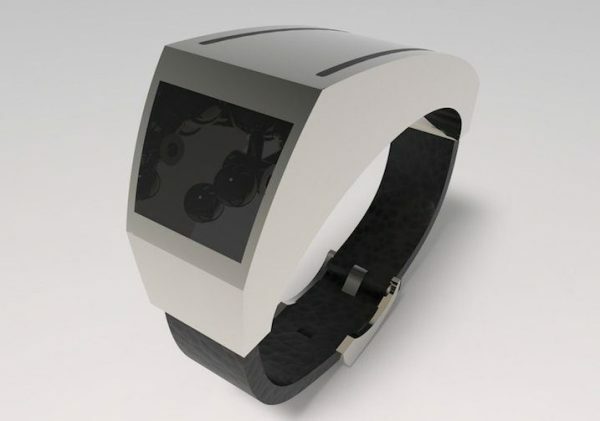 Fibo is the newest development in wearable technology. It looks like a cross between a fitness tracker and a smart watch, but its purpose is completely different. By pairing it with a patch -like baby kick monitoring device worn by the mother on her belly, Fibo can accurately imitate the movements of the fetus right after they occur. The bracelet features rotating beads that create a natural movement, rather than the usual sharp, unrealistic vibration that most notification devices rely on. In an effort to help people cope with the loss of their loved ones, a South Korean tech company is developing an app that lets them take photos and converse with digitally-rendered models of deceased friends and family. 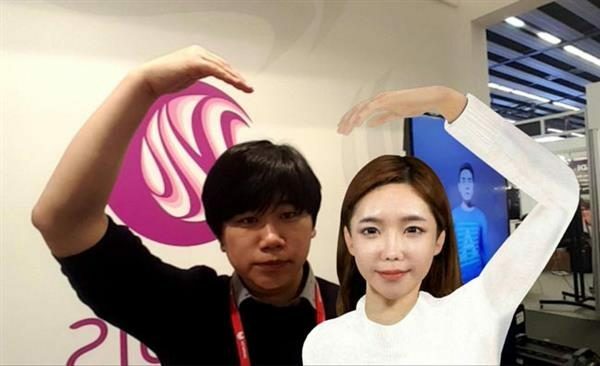 Called “With Me”, the controversial app was developed by ELROIS, a Korean firm that specializes in creating realistic 3D avatars, and requires the featured person to sign up for an avatar while they are still alive. Currently, they have to visit a special booth where their bodies are scanned using special technology, but ELROIS hopes that smartphones will soon come with built-in 3D-scanning technology to streamline the process. The company then proceeds to create a “realistic” 3D avatar based on the scanned images, followed by reshaping and auto-rigging to make it animated. 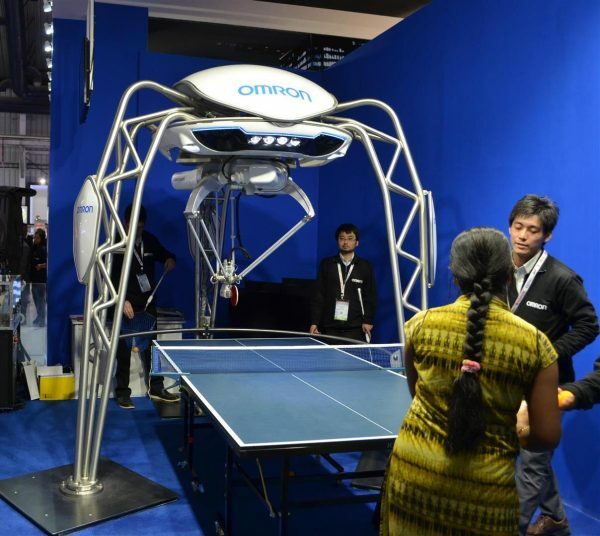 An advanced robot developed by Japanese electronics company Omron has recently been certified by Guinness World Records as the world’s first robot table tennis tutor. FORPHEUS (Future Omron Robotics Technology for Exploring Possibility of Harmonized Automation with Sinic Theoretics) used machine learning to asses the skills of a human player, adjust its game accordingly and provide tips to help opponents improve their technique. Unveiled at the Ceatec electronics show in Japan in 2014, FORPHEUS has come a long way in the last three years, especially after developers made a breakthrough in artificial intelligence. Originally designed to showcase Omron’s sensor technology, the table tennis-playing robot has now become a Guinness-certified tutor thanks to machine learning. It analyzes data like the human player’s movement, the speed of the ball and the trajectory to determine his opponent’s skill level with around 90% accuracy. FORPHEUS then uses this information to adjust its play style – slow and and easy for beginners, faster and more unpredictable for advanced players. The machine-dominated world envisioned by James Cameron in “Terminator” once seemed like pure science fiction, but now, not so much. 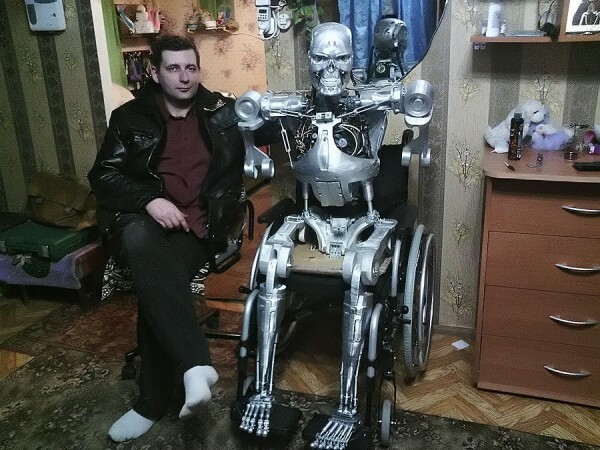 Just a few days ago, a Russian programmer from Perm unveiled his 3D-printed version of the T-800 robot featured in Cameron’s famous blockbuster, and while it can currently only move its head, it is equipped with a “brain” that allows it to speak and even answer various questions, by looking up the answers on the internet. Perm-based programmer Alexander Osipovich knew he wanted to one day build his own Terminator robot as a child, after watching the 1984 movie featuring Arnold Schwarzenegger. In 2009, while studying programming at university, Osipovich started working on a program that would one day act as the brain of his real-life T-800 machine. Over the next two years, he developed multiple versions of it in Visual Basic, and in 2011 he decided that technology had come far enough to allow him to fulfill his childhood dream. What if your smartphones could send data about themselves to your iPhone? It sounds absurd, but Swiss sock manufacturer BlackSocks has been producing “Smarter Socks” that actually communicate with the owner’s smartphone ever since 2012. And yes, you can still buy them, but they’re definitely not cheap. BlackSocks believes mankind is made for greater things than sorting socks, so in order to save their clients some valuable time, they came up with a high-tech way of helping them figure out which two socks go together. They might have overdone it a little bit, though, as this system involves Radio-frequency identification (RFID) chips on the socks, a handheld device that decodes the info on these chips, as well as a dedicated app for your smartphone. It sounds like a pretty complicated system for such a simple task as sorting out socks, but if you’re the kind of guy who likes to keep his socks paired, you’re going to love it. 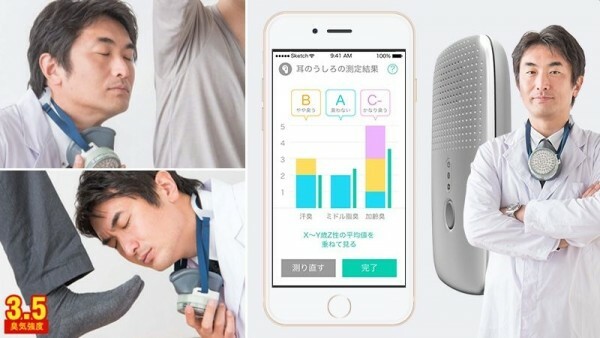 The KunKun, Japanese for “sniff sniff”, is a bizarre device developed by Japanese corporation Konika Minolta that detects bodily odors like smelly feet or underarm sweat and notifies the user about them via a smartphone app. So, yeah, the days of smelling your own armpits when nobody’s watching to see if they stink are over, thanks to modern technology. Now you can just wear the KunKun everywhere you go and find out when you’re starting to stink just by checking your phone. It’s small enough to fit in a coat pocket, so no one will ever know you’re carrying it, and features sensors that pick up specific chemicals associated with three types of bodily odors. It can detect ammonia and isovaleric acid, chemicals known to produce that nasty sweaty locker-room smell, but also 2-nonenal, which is associated with old age and diacetyl, a controversial organic compound that makes yo smell like “rancid cooking oil”. How does running a marathon and burning over 1000 calories per hour without even getting off your couch sound? That’s exactly what the BionicGym, an advanced wearable neuro-stimulator, claim to help you achieve by delivering sophisticated electric pulse patterns to your muscles. HandEnergy is an ingenious apple-sized device that charges your phone anytime, anywhere. But what really makes this thing special is the fact that it uses your own personal energy to do it. In a time where power-banks and solar-power devices have become mainstream, a device that lets you charge gadgets on the go doesn’t sound very special. But while power-banks have to be charged the old fashioned way, and solar panels need the sun to store energy, HandEnergy just needs a hand. And I mean that quite literally. To get this little guy to produce energy, which it then stores in built-in batteries, all you have to do is hold it in your hand and rotate your wrists. Long distance relationships are always tough, and the lack of physical interaction is one of the main reasons for that. There’s no substituting human touch, yet, but rapidly-advancing technology already provides some intriguing alternatives. 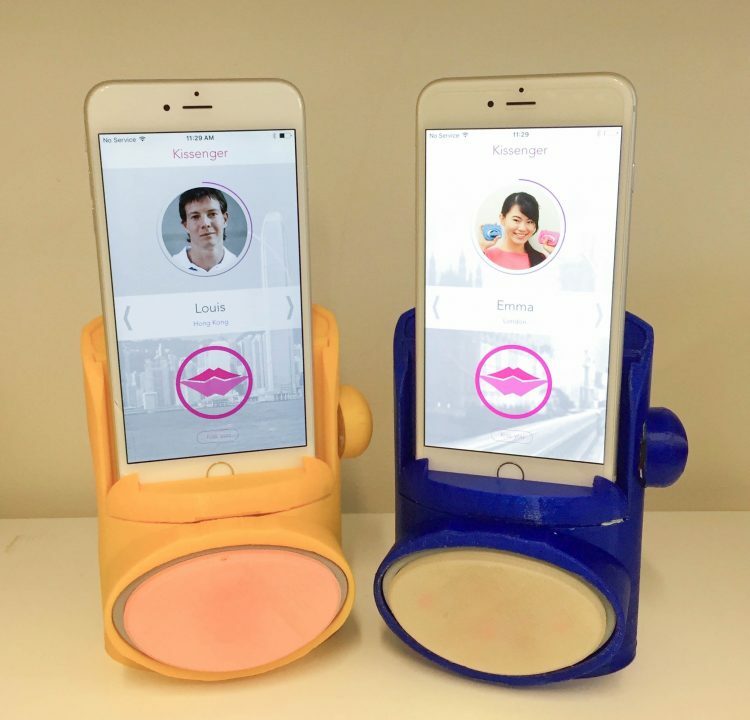 One such example is the Kissenger, a smartphone peripheral that allows users to kiss over long distances. The concept of long-distance kissing has been an intriguing research concept for over half a decade now. Back in 2012, we wrote about the Kissenger, a solution created by Dr. Hooman Samani, Director of AIART Lab (Artificial Intelligence and Robotics Technology Laboratory) in Singapore. It consisted of two internet-connected bunny-shaped robots with big silicone lips that could send the touch of human lips between each-other to (sort of) simulate a kiss between two human beings. Samani described it as a “a physical interface enabling kiss communication”. The Kissinger made international news headlines when it was originally revealed, but it never translated into an actual consumer product. However, the idea of transmitting human kisses over long distances remained popular, and, earlier this month, Emma Yann Zhang, a Computer Science PhD student at City University London, presented her own take on the idea, also called the Kissenger.